Wayne Oquin (MM '02, DMA '08, composition) joined the Juilliard faculty when he graduated and was named chair of Ear Training upon the retirement of the legendary Mary Anthony Cox (BM '65, MS '67, piano; faculty 1964–2013). The Houston native (he got his bachelor's, in composition and piano, at Texas State University) teaches Ear Training classes (eight each semester) plus annual courses on Beethoven and the major 20th-century American symphonic works. He's also an active composer; about a year ago his piece Resilience was premiered by the Pacific Symphony conducted by Carl St. Clair with Paul Jacobs, organ department chair, as soloist. And the Munich Philharmonic recently performed his Echoes of a Solitary Voice, a tribute to his late mentor and friend Lorin Maazel. How did the Maazel commission come about? While Maazel enjoyed great renown as a conductor, his role as the creator of a substantial body of significant, expressive, and highly original compositions has gone largely unrecognized. In 2014, his family asked me to compose a new work for the Danish National Symphony based on a sketch he'd penned shortly before his death. What an eye-opening experience to study his sketches and drafts, to see his painstaking attention to detail, even in the early stages of composition. But finishing Maazel's final work as he would have done proved impossible. Rather than conjecturing the infinite paths he might have taken, I began by examining what he completed and then allowed the music's distinct features—the essence of this unfinished sketch and its basic musical characteristics—to permeate the fabric of a new piece. I've never worked on a project I found more fascinating. What was most surprising about going from student to faculty? Being a student and a teacher in the same institution has helped me to better understand both roles. 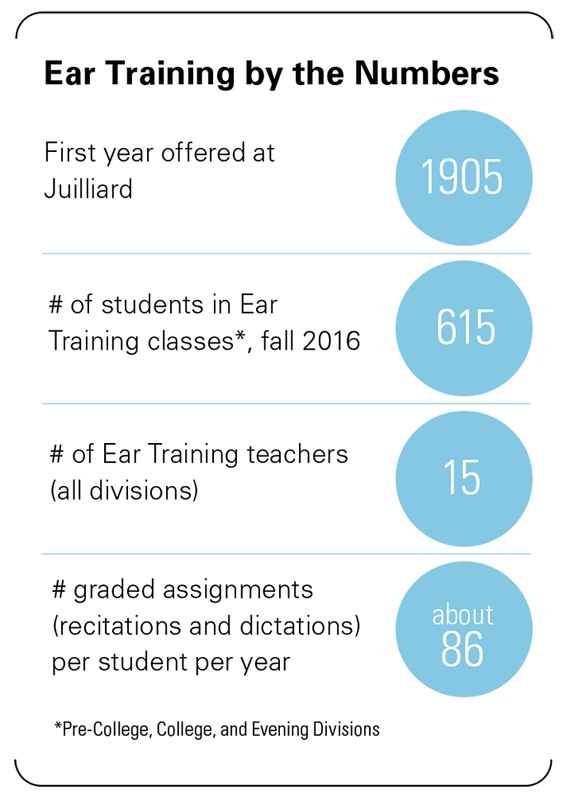 When I walk into a classroom I bring those years of experience with me and understand Juilliard students' struggles, aspirations, and capabilities. On the other hand, having been a full-time faculty member, I now appreciate in a way I never could have otherwise the challenges that face teachers. While there is no profession more demanding, rewarding, or affirming, I also know that there is no field so little appreciated. The more I teach, the more I appreciate those who taught me. Tell us about your American Symphony course. I've been to the Library of Congress countless times to examine the collections, and the librarians have not only allowed me to see the autographs and primary source materials but have also gone out of their way to suggest items I might never have discovered elsewhere. What an addition it has been to my teaching! And to be able to show the students the compositional pathways of Barber, Bernstein, Copland, Gershwin, Ives, and William Schuman, each in his own hand, has also contributed worlds to my understanding of compositional process. How do you sustain your teaching schedule year after year? I'm continually motivated and fueled by the students. The more they focus and engage, the more energy I seem to find. A large amount of credit goes to my entire department, especially those teaching fellows with whom I work so closely on a daily basis—Jordan Hendy, Jae Lee, Matthew Liu, Anne Wang, and Sebastian Zinca. I would be lost without them. This past year I've worked with three major orchestras, each of which included at least one of my former students. What a thrill to witness and, in some small way, contribute to a young musician's journey from student at Juilliard to becoming a well-seasoned, highly sought-after performing artist. Georg Solti's Ring (Vienna Phil), James Levine's Parsifal (the Met), Fritz Reiner's Bartók (Chicago Symphony), Simon Rattle's Rite of Spring (Berlin Phil), any work conducted by Carlos Kleiber, Marc-André Hamelin's recent Debussy recording, the Juilliard String Quartet's complete Elliott Carter, Alan Gilbert's two recordings of Christopher Rouse (Royal Stockholm). The Duke's Children by Anthony Trollope, and anything by David McCullough—I'm as dazzled by his histories of the Panama Canal and the Brooklyn Bridge as by his biographies of Teddy Roosevelt, Harry Truman, and John Adams. Every artist should read at least one of his books and anyone holding public office should have to read the complete works! What is one thing you definitely want your students to remember? Press on after graduation! The most meaningful progress in any endeavor happens in small increments over decades—four years isn't enough time to truly master anything. So much of my learning and growth, whether it be through composing, performing, reading, score study or analysis, came well after I was no longer enrolled anywhere as a student.